The latest addition to WASHI's Master Series shear sets. An attractive design and the lighter weight gives you a quality hair cutting tool. A perfectly balanced hair shear. Forged from premium Japanese quality steel (Hitachi V10) and features WASHI's Anti-push edge. Designed for all cutting techniques. 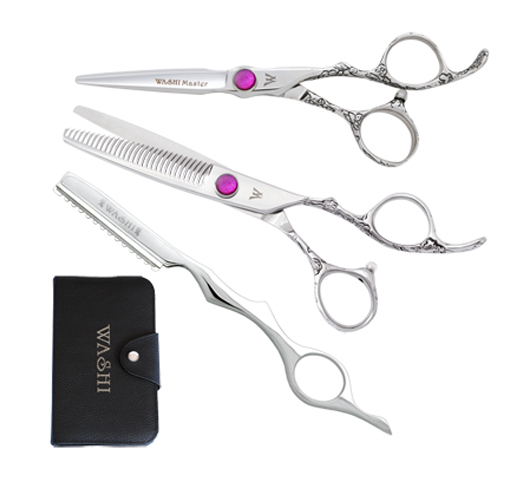 Set includes a 5.5 or 6.0 inch cutting shear, 30-tooth thinning shear, a texture razor, and a carrying case.